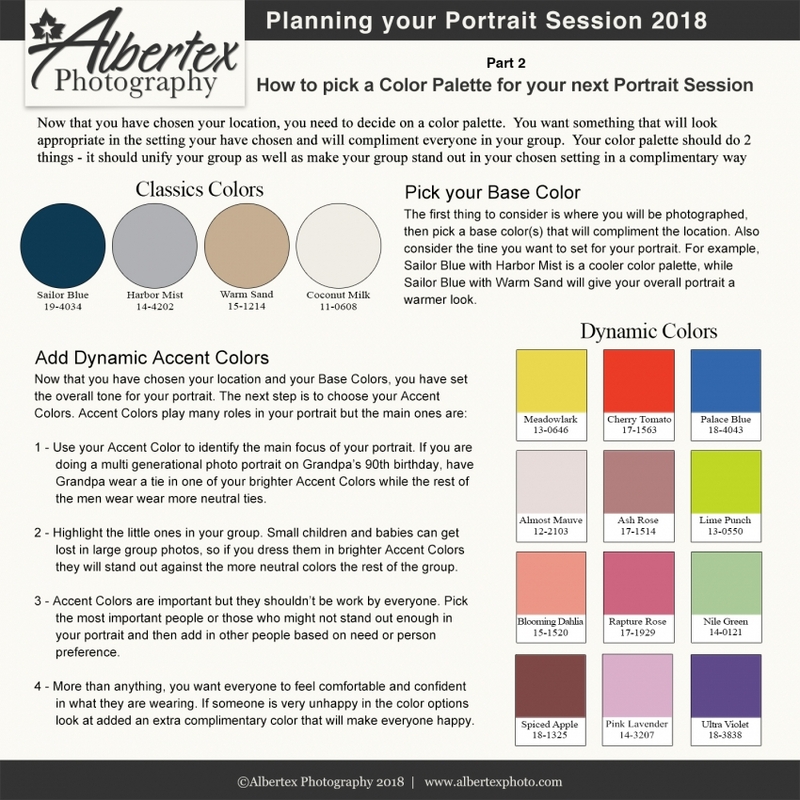 It can be tempting to wait until the last minute when planning the outfits for your portrait session but trust us, you will have a more successful shoot if you plan ahead (not to mention less stress). 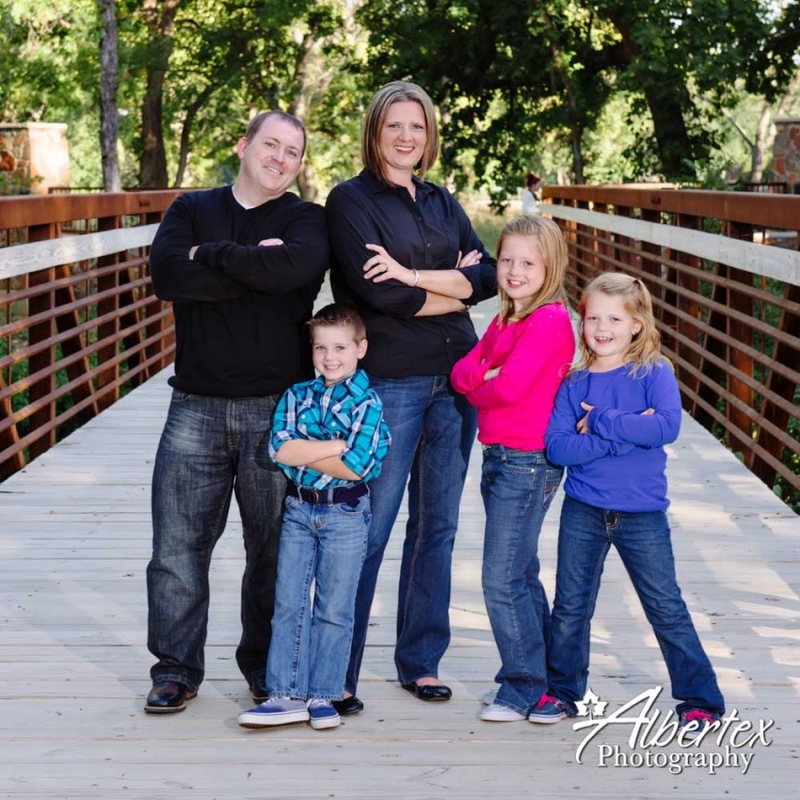 Below we have listed a few tips to help ensure your family looks as great as this family does. Coordinate your outfits but don’t make them too matchy-matchy. We want everyone to look good together but we also want to see each person’s individuality. Choose clothing that suites your body type and fits you properly – fitted is always better than baggy. We always suggest that you tuck your shirts in, but if someone will be wearing a shirt un-tucked, make sure it is a fitted shirt and it isn’t too long (a few inches below their natural waist is best). On that note, don’t wear clothing that is too tight or too short and that the arms aren’t restrictive. You should be able to stand, sit, bend over and reach overheard without having to constantly readjust everything. Check that your buttons don’t gap at the chest or stomach. If you are wearing something sleeveless, make sure your bra strap is not showing. If you have to keep pushing it back in, it will definitely show in your photos (and no, we can’t just photoshop that out). Avoid wild patterns, large logos and anything with writing on it. These can be very distracting and they will really date your photos. If one person is wearing a subtle pattern or strips, make sure the other adults are in solids. Too many competing patterns or stripes can look chaotic. For families with children, parents should be the backdrop for their children – neutral clothing for mom and dad then something more colorful for the kids is ok. The smallest ones can in brighter colors or patterns so they stand out. Keep jewelry to a minimum. Wear the necessities like your wedding ring and accent jewelry but leave the extras at home (watches, multiple rings and necklaces). Bangles are ok if they are party of your outfit but make sure they won’t catch on your clothing. For babies and small children, bring a change of clothing. Here is a great example of choosing a solid base color (blue and grey) that compliments their setting yet helps them stand out a little. They also chose one of the Dynamic colors for the smallest member of their family which helps her stand out a little while still coordinating with the rest of the family. We are excited to announce that we will be doing Fall Mini Sessions this year! 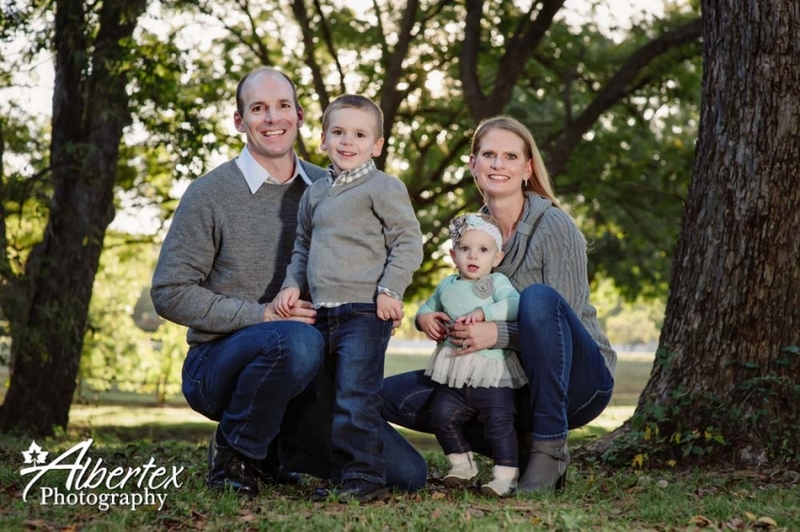 Mini sessions are available the afternoons of Saturday November 7 & Sunday November 8 and will be at an outdoor location in the Fort Worth/Mansfield area (exact location to be determined). Contact us for more information or to book your session! Most people have heard of or seen Irish Dancing whether it was from Riverdance or Lord of the Dance. An Irish Dance Festival is frequently known as a Feis. We have been able to photograph for the last 2 years the Texas State Championship and Feis hosted by the McTeggart Irish Dancers of North Texas at the Sheraton Grand DFW. This year we had some amazing dancers to photograph in their amazing outfits. Some Irish Dance outfits can cost as much as $3000. Here are a few dancers we photographed this year and we look forward to the next one. We have had the great honor of photographing the Hall family since their second baby was a newborn, so we were very excited that we got to do some updated photos for their family wall. They were So Much FUN! Totally reminded us why we love doing family photos.